According to Nezavisimaya gazeta (April 2, 2012), President-elect Putin is planning to create a new National Guard, a domestic security force uniting the MVD VV Interior Troops, the MChS Ministry of Emergency Situation forces and various other security and military elements. 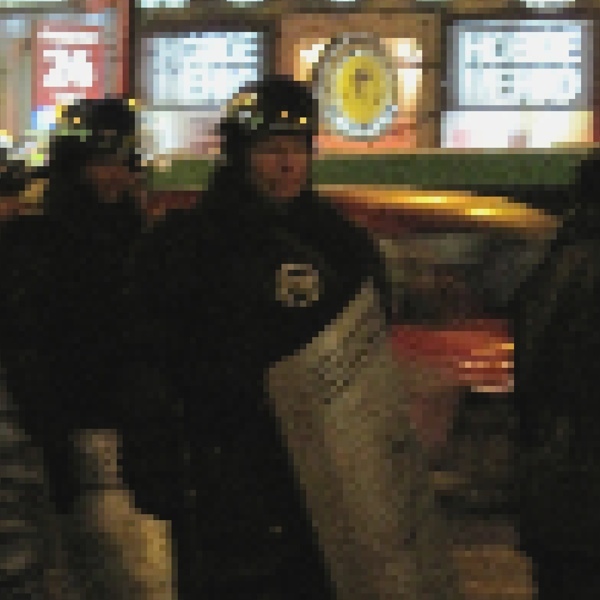 The article tied this plan to concern about public order following the wave of “color revolutions” and the risk of both violent uprisings and also an upsurge in public protest. Furthermore, the failure of existing forces to bring order to the North Caucasus “demonstrates that existing forces and means could fail to ensure public safety after all. It will take special forces, mobile and more powerful. This is clearly something beyond the Internal Troops and the other forces of the Interior Ministry.” Drawing a direct comparison with the regular military, which “remain regrettably unable to meet the new challenges and threats to national security” despite all the money spent on them, the Guard would thus shoulder the role fighting insurgencies in North Caucasus. Nikolai Zlobin of the World Security Institute in Washington also chimed in that it could be used in dealing with natural disasters. So on the one hand, this might have been either a trial balloon or else a bid by some (Rogozhkin? Shamanov?) to get such an idea moved onto the agenda. Rogozhkin, after all, might well favor an initiative that, in effect, doubles the size of his VV and removes him from subordination to the Minister of Internal Affairs. Even more conspiratorially, the article’s vehement attack on military reform and attempt to undercut Makarov’s position by presenting the only real debate as being as to who would replace him is noteworthy, especially as his 2011 piece had also a strong anti-Makarov theme. It is possible that this may also explain this unusual intervention. Either way, there seems little real prospect of the formation of a “Natsgvardiya” in the near future. Just as Putin, for all his emotional commitment to the FSB, has held back from acquiescing to their empire-building efforts to resubordinate all elements of the intelligence community to one agency precisely to maintain a balance of power and prevent it from becoming too dominant (seemingly even Putin 2.0 doesn’t want KGB 2.0), so too this looks like a “power verticalization” too far. There is no reason to believe that, in effect, changing their badges and masters would make the VV in the North Caucasus shoot any straighter, nor the firefighters and rescue personnel of the MChS dig through rubble any faster. Instead, such a move would simply reflect political and bureaucratic imperatives and suggest a Kremlin far jumpier and more paranoid than — fortunately — we have yet to assume. Does “The road to the Kremlin run through Yaroslavl”?